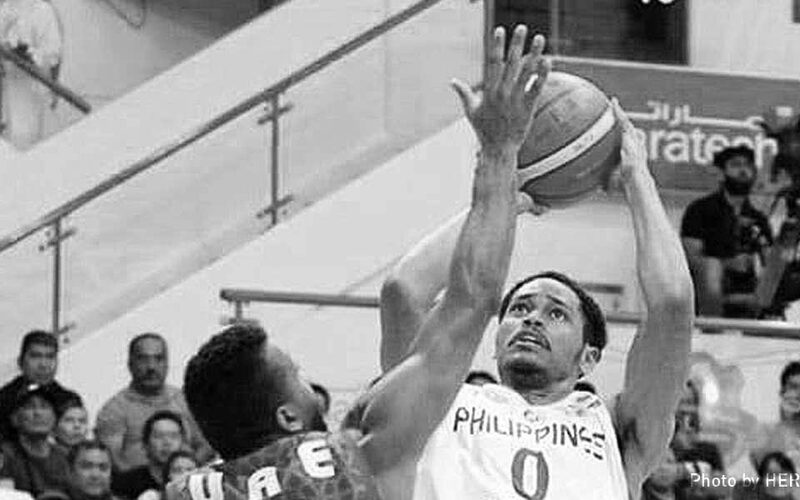 MANILA—Mighty Sports bucked an injury scare on Roosevelt Adams and Justin Brownlee and completed a huge comeback to beat Al Wahda, 85-81, in the Dubai International Basketball Championship at the Shabab Al Ahli Club in Dubai early Wednesday (Philippine Time). In an intense game of basketball with the top seed in Group B on the line, Mighty Sports found itself needing to pull a dominating fourth quarter performance to edge Al Wahda, which the Philippine squad did. The Syrian side took advantage of a slowed down Adams, who suffered a groin injury before halftime, as the team torched from the outside in the third quarter to take a 65-60 lead. But Adams and Brownlee converted back-to-back triples to give Mighty Sports a 66-65 advantage at the start of the fourth. After a seesaw battle, Al Wahda appeared to have restored order after going on a 7-0 run to mount a 76-70 lead with 4:22 left. But Mighty Sports went on a 14-0 run sparked and eventually capped by booming treys from Adams to steal the win. Brownlee helped in the run on both ends, burying the go-ahead triple with 2:31 left and making a huge block on Jordan Adams’ layup attempt a minute later. Brownlee tweaked his knee during the block, but he stood up and walked to the bench as if nothing happened. Even if with him sitting out the remaining 1:31 of the game, Mighty Sports finished the job as the team eventually held Al Wahda, which still tried to pull a comeback, in the end. Brownlee finished with 27 points and nine rebounds, while Roosevelt Adams fired 21 points including four triples with seven rebounds to lead Mighty Sports, which completed a 4-0 sweep of its assignments in Group B. In effect, Mighty Sports secured the top seed for the said group in the quarterfinals without going to the dreaded quotient rule, which would have been in effect if Al Wahda beat Mighty Sports but lost to Homenetmen later Wednesday. Mighty Sports will take on either AS Sale or Al Naft in the quarterfinals on Thursday. AS Sale completed the quarterfinal cast in Group A after drubbing Jordan, 100-80, on Tuesday night. AS Sale and Al Naft will face off later Wednesday to decide which team will finish third in Group A. The losing side will fall to the fourth seed and a quarterfinal date with Mighty Sports. Jordan Adams tallied 22 markers for Al Wahda, which dropped to 2-1. Al Wahda’s loss means the team’s showdown with Homenetmen, also at 2-1, will be for the second seed in Group B. The Al Wahda-Homenetmen winner will meet the AS Sale-Al Naft victor in the knockout stages.